The figures, contained in a study released Monday by county Agricultural Commissioner Mary Lou Nicoletti, reflect both the direct and indirect economic contributions from farm production and food processing. Cynthia Mathiesen, president of the Santa Cruz County Farm Bureau and intellectual property manager at Driscoll’s, said in her job she buys office supplies from local vendors, puts up out-of-town visitors in local hotels and uses local travel agencies to book trips. Growers, she said, buy everything from pesticides to pickups in the community. It was always clear that agriculture’s impact went beyond the fields, but it was never quantified before, she said. “This report brings that all to the forefront,” Mathiesen said. 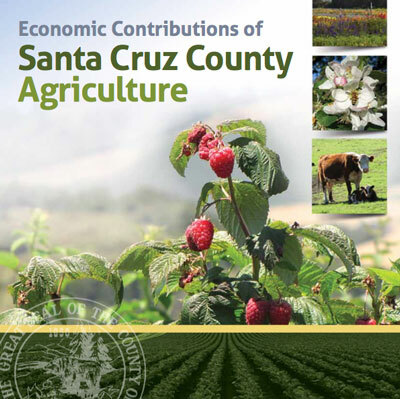 Click here to read the full Economic Contributions of Santa Cruz County Agriculture report. Previous Previous post: Measure T Defeated in a Landslide!